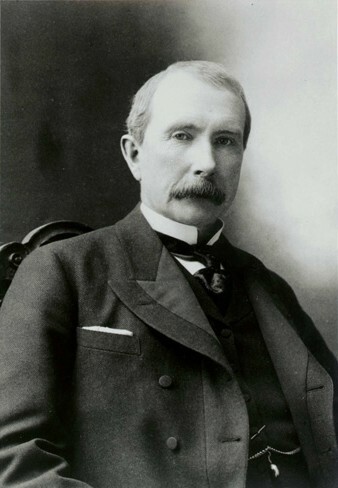 Few are aware that business tycoon and philanthropist John D. Rockefeller, who became the richest person in recent history, started his career at 16 as an accountant. His diligence, uncommon ability to “see everything and forget nothing” and exceptional understanding of business financials allowed him to build his oil empire by making every major decision on the basis of precise to-the-penny financial calculations. “I charted my course by figures, nothing but figures” said John D. His success underscores the importance of accurate and reliable financial information for business leaders to make the right decisions. Recognizing the importance of relevant and reliable financial information, former Undersecretary of Defense Sherri Goodman said that “You can’t manage what You don’t measure” and called for better monitoring of energy use and full tracking of the Department of Defense (DoD) carbon footprint with the aim to get the US military off oil by 2040. But where did this determination to move away from oil come from? 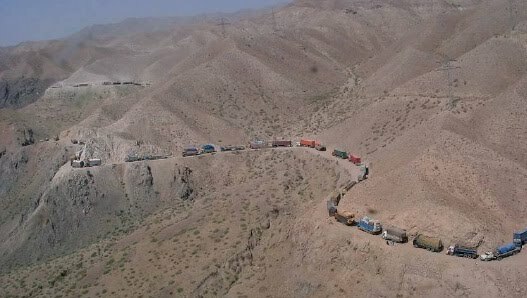 An important element is the realization of the growing number of casualties in convoy operations that deliver fuel and water to the battlefield. The other is economic and has to do with the way fuel costs were accounted for. Historically, fuel purchases were recorded at their purchase price, say 2 to 3 US$/gallon or 0.50 to 0.80 US$/liter. More recently however, the military started looking at the “fully burdened cost of fuel” – that includes the cost of buying, moving and protecting fuel until it is ready to be used in the battlefield. In remote areas these can be hundreds of times higher than the purchase price. Figures of US$600/gallon (US$158/liter) and more have been reported. With delivered fuel costs representing up to 36% of the total operations budget in Afghanistan, one can understand that energy efficiency has become a top priority for the military. A priority that lowers risk while generating dramatic cost savings. In one example, $95 million was invested in Iraq to insulate tents and temporary infrastructure reducing the need for cooling during daytime and heating at night. This measure saved US$1 billion in 2010 alone and removed the need for 11,000 fuel trucks. For more see Energy Security, America’s Best Defense. 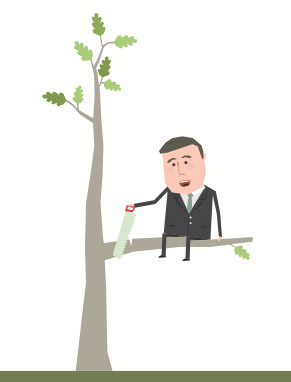 Business has a key role to play when it comes to sustainability. Of the largest 150 economic entities in the world, more then 59% are not countries but corporations and our most pressing sustainability challenges are largely caused by the way businesses operate and the impact of the products they sell. But today only business has the capacity and the ability to provide solutions to these problems. 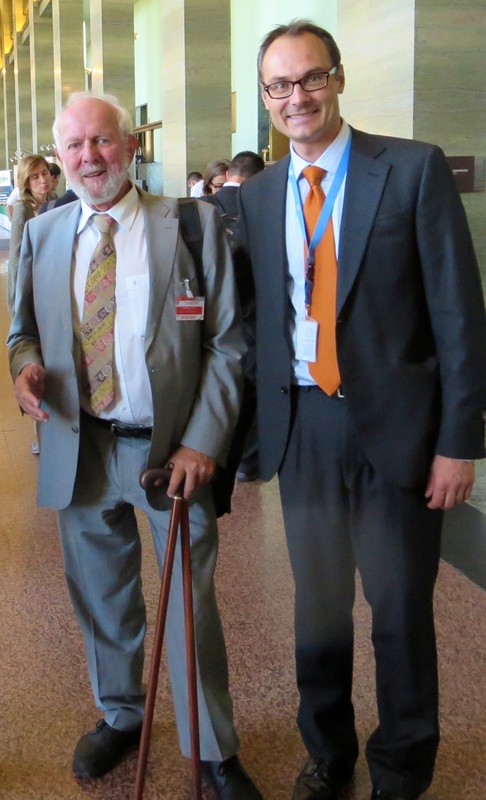 According to former Executive Secretary of the United Nations Framework Convention on Climate Change (UNFCCC) and KPMG Special Global Advisor on Climate Change and Sustainability Yvo de Boer, “The bulk of the solutions to environmental degradation and climate change must come from the private sector”. The Interface journey began by attacking waste and diverting the savings to invest in reducing carbon intensity while developing innovative business processes and products. Proper accounting records and monitoring played a central role. Accountant Buddy Hay led this part by implementing the EcoMetricsTM measurement system to track all the materials and energy inputs and all outgoing products, waste and pollution. He says that: “When implementing sustainability programs, you have to measure, understand and articulate the drivers of success. This requires the same rigor and thinking used in financial accounting but applied to natural resources and environmental impact”. Improved tracking allowed Interface to reduce waste to landfills per unit of production by 95% since 1996, and to avoid millions of dollars in costs. This helped fund additional sustainability efforts while rewarding shareholders with a 444% share price increase (5 year period ending Dec 31, 2013). 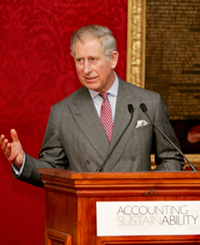 Concerned that our current measures of profit and GDP are providing the wrong signals to leaders in business and government, His Royal Highness The Prince of Wales has embarked on a global project with the accounting profession to help embed sustainability into the DNA of business organizations. Through his Accounting for Sustainability (A4S) Project, The Prince of Wales aims to demonstrate the business case for organizations to embed sustainability into their operations, develop the tools and build the capacity for action and create an enabling environment for change. The objective is “To help ensure that we are not battling to meet 21st century challenges with, at best, 20th century decision-making and reporting systems.” And by working with the A4S Accounting Bodies Network representing two million accountants around the world, The Prince’s Accounting for Sustainability Project is helping the profession to overcome the false choice between business success, environmental sustainability and the development of human happiness and wellbeing. Few realize that some of the greatest biodiversity hotspots in the Province of Quebec, are located in the Greater Montreal Region and are at risk from urban sprawl. The David Suzuki Foundation issued a report that valued the ecosystems services of a greenbelt that would protect 19% of the greater Montreal territory to be worth $4.3 billion per year! This work helped convince the Communauté métropolitaine de Montréal to create this greenbelt as part of its new urban plan and the Government of Québec to invest $150 million for its protection. “With the robust analysis and quantification that the accounting profession can provide, we can better understand the value of natural capital and the importance of preserving and enhancing ecosystems and natural habitats for the greater benefit of our communities” said Quebec Chief Scientist, Rémi Quirion. Despite the growing interest in CSR and sustainability reporting, the surge in revenues for accounting firms is not without risks. Professor of Social and Environmental Accounting at ESSEC Business School in Paris, Dr. Charles Cho, has published numerous studies on these topics. His particular field of interest is accounting and the public interest. Dr. Cho warns that “The recent proliferation of the ‘sustainability’ buzz, particularly within the business community, should certainly not become an avenue for opportunistic strategies and behaviors. We really need to pay close attention to what makes it substantive versus what is likely to become a mere symbolic representation—unfortunately, the latter happens more often than the former. A typical example is the production of stand-alone sustainability or CSR reports—recent mounting evidence has been provided that most of the information contained in these reports is generally biased, selective, trivial and sometimes misleading. Nevertheless, they provide a ‘legitimate’ shield, or a veil, on what is really happening inside organizations. Therefore, such reports should at least be monitored by a set of enforceable regulations, but it is far from being the case. 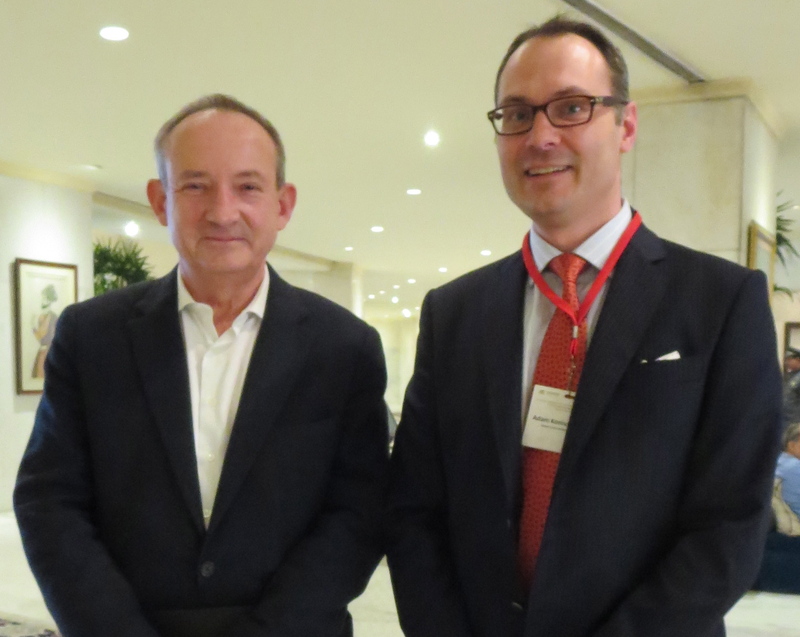 Concordia University Professor, Dr Michel Magnan, FCPA, FCA, agrees that significant aspects of corporate sustainability reporting are symbolic rather than substantive. But in his view: “There has been progress in the quality of such disclosure over the years among European and North American firms. My research with colleague Denis Cormier shows that such reporting is relevant for market stakeholders (investors, analysts) when a firm exhibits good environmental performance (as measured by objective metrics) but comparability across firms and reliability of disclosed information are still major issues. One has to keep in mind that even for financial reporting, with strict regulatory enforcement and formal standard setting, there are still discussions as to comparability, relevance and reliability! – Luc Villeneuve, FCPA, FCA, President, Deloitte Quebec. More then a century has passed since John D. Rockefeller retired from running his oil empire but the importance of robust and relevant accounting and financial information is more important then ever. The new global context, the state of the environment and the accelerating depletion of natural resources, present immense and unprecedented challenges and opportunities. Our ability to create economic systems that promote and reward businesses for restoring and enhancing natural environments, for conserving resources and for eliminating pollution and waste will help define our future prosperity. The accounting profession, the preferred provider of unbiased, relevant and reliable information, is ideally positioned to speed up this transition. About the Author: Adam Koniuszewski, CPA, CA, CFA is a Commerce Graduate from Concordia University in Montreal. He started his career with Big 4 Accounting-firm Deloitte & Touche in Montreal and London (UK) before continuing his international career with a global corporation (North America, Europe, North Africa) where he gained experience in strategy and business development, planning and risk management, corporate and government affairs. Adam has now joined the world of civil society where he works in the field of sustainability. 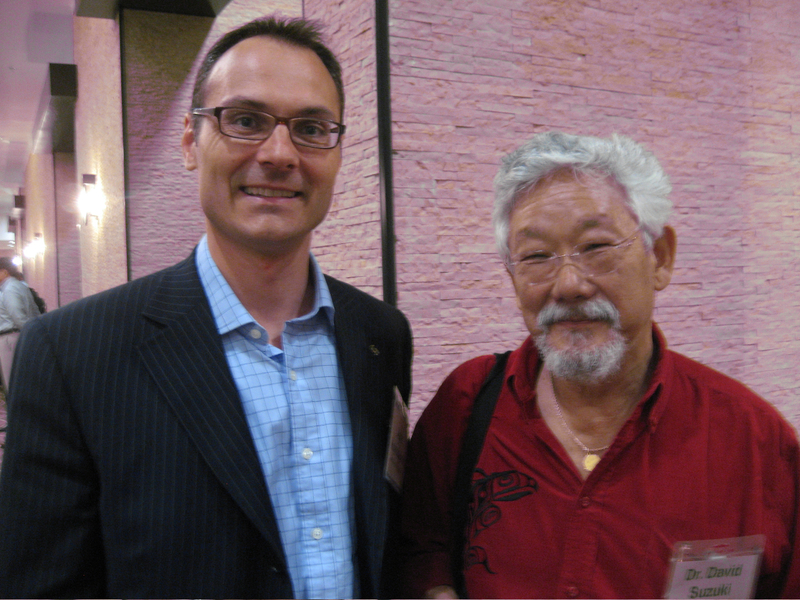 He is a public speaker at international forums on global sustainability challenges and their business and financial aspects. Adam is also involved in several social and charitable initiatives. Peu de gens réalisent que le magnat des affaires et philanthrope John D. Rockefeller, qui a bâti la plus grande fortune de l’histoire, a commencé sa carrière à 16 ans comme comptable. Son assiduité, sa capacité à « tout voir et ne rien oublier » et sa compréhension exceptionnelle de la finance d’entreprise lui ont permis de construire son empire pétrolier en basant toutes les décisions importantes sur des calculs financiers précis au centime. «J’ai tracé mon parcours par des chiffres, rien que des chiffres », a déclaré John D. Son succès souligne l’importance d’une information financière fiable et précise pour que les dirigeants puissent prendre les bonnes décisions. Reconnaissant l’importance d’une information financière pertinente et fiable, l’ancienne Sous-Secrétaire à la Défense, Sherri Goodman, a déclaré « Vous ne pouvez pas gérer ce que vous ne mesurez pas » et a appelé à une meilleure surveillance de la consommation d’énergie et à un suivi complet de l’empreinte carbone du Département de la Défense, avec l’objectif que l’armée américaine n’ait plus besoin de pétrole d’ici 2040. Mais d’où vient cette volonté de trouver des alternatives au pétrole? Un élément important est l’augmentation du nombre de victimes dans les opérations de convoi qui fournissent le carburant et l’eau durant les opérations militaires. L’autre est économique et résulte de la façon dont les coûts de carburant sont comptabilisés. Historiquement, le carburant était comptabilisé au prix d’achat, soit environ 2 à 3 $ US/gallon ou 0,50 à 0,80 $ US/litre. Mais récemment l’armée a commencé à surveiller le « fully burdened cost of fuel » – qui comprend le coût d’achat, le transport et la protection du carburant jusqu’à ce qu’il soit prêt à être utilisé sur le terrain. Dans les régions éloignées, ces coûts peuvent être des centaines de fois plus élevés que le prix d’achat et atteindre plus de 600 $ US/gallon (158 $ US/litre). Avec des dépenses de carburant représentant jusqu’à 36 % du budget total des opérations en Afghanistan, on comprend pourquoi l’efficacité énergétique est devenue une priorité absolue pour l’armée américaine. Une priorité qui réduit les risques tout en générant des économies considérables. Par exemple, l’armée a investi 95 millions de dollars US pour isoler les tentes et autres installations militaires en Iraq et réduire les besoins de climatisation pendant la journée et de chauffage la nuit. Cette mesure a permis d’économiser 1 milliard de dollars US dans la seule année 2010 et de réduire de 11,000 le nombre de camions de carburant. Pour en savoir plus : La sécurité énergétique, la meilleure défense de l’Amérique par Deloitte. Les entreprises ont un rôle clé à jouer quand il s’agit de durabilité. Sur les 150 plus grandes entités économiques du monde, 59 % ne sont pas des pays mais des multinationales et nos enjeux de développement durable les plus pressants sont en grande partie causés par leurs activités et par l’impact des produits qu’ils vendent. Aujourd’hui seules les entreprises sont en mesure de résoudre ces problèmes. Selon l’ancien Secrétaire exécutif de la Convention-Cadre des Nations Unies sur les Changements Climatiques (CCNUCC) et conseiller mondial sur les changements climatiques et le développement durable chez KPMG, Yvo de Boer : « La majeure partie des solutions à la dégradation de l’environnement et au changement climatique doit provenir du secteur privé ». Le parcours d’Interface vers la durabilité a commencé par la réduction des déchets et en investissant les économies dans la diminution de l’intensité carbone tout en développant des processus d’entreprise et des produits toujours plus innovants. Les systèmes comptables appropriés et une surveillance continue ont joué un rôle central dans ce processus. Le comptable Buddy Hay a dirigé cette partie de la démarche d’Interface avec la mise en œuvre du système de mesure EcoMetricsTM pour comptabiliser tous les matériaux et intrants énergétiques et tous les produits sortants, les déchets et la pollution. Selon lui, « Lors de la mise en œuvre de programmes de développement durable, il faut mesurer, comprendre et articuler les critères de succès. Cela nécessite la même rigueur que pour la comptabilité financière, mais appliquée aux ressources naturelles et à l’impact environnemental ». Améliorer le suivi a permis de réduire les déchets par unité de production de 95 % depuis 1996, d’éviter des millions de dollars en coûts et de financer des efforts de durabilité supplémentaires tout en récompensant les actionnaires par une augmentation du prix de l’action de 444 % (période de 5 ans se terminant le 31 décembre 2013). Craignant que nos mesures actuelles du profit et du PIB donnent des signaux erronés aux chefs d’entreprises et aux gouvernements, Son Altesse Royale, Le Prince de Galles a lancé un projet mondial pour aider la profession comptable à intégrer la durabilité dans l’ADN des entreprises. Grâce à son projet de comptabilité pour le développement durable, Le Prince veut démontrer l’efficacité de l’analyse pour la durabilité et créer un environnement favorable au changement. L’objectif est de « nous assurer que nous puissions affronter les défis du 21e siècle avec des outils appropriés et non pas avec les systèmes de décision et de “reporting” du 20e siècle ». En travaillant avec des organismes qui représentent près de deux millions de comptables à travers le monde, Le Prince aide la profession à surmonter le faux choix entre la réussite de l’entreprise, la durabilité environnementale et le développement humain. Jessica Fries, présidente exécutive du A4S, connait l’importance de la participation des directeurs financiers dans le processus de construction de modèles d’affaires durables: “Le réseau de leadership des CFO A4S est le premier groupe du genre à réunir les principaux chefs des finances dans le but d’étudier leur rôle dans l’élaboration d’approches pratiques afin d’intégrer les questions environnementales et sociales dans les décisions financières. C’est un impératif commercial de plus en plus important pour les entreprises afin d’assurer la pérennité de leurs organisations; et il y a maintenant des preuves claires que les entreprises qui traitent des questions environnementales et sociales d’une manière stratégique peuvent arriver à de meilleurs rendements financiers et commerciaux “. Un autre domaine d’intérêt est de savoir comment rendre compte du capital naturel et social. Une organisation qui a vraiment aidé à mettre en évidence leur importance est PUMA, la société mondiale de sport-lifestyle. Jochen Zeitz , alors PDG de l’entreprise, a développé le rapport de pertes et profit environnemental de PUMA : ” Nous comprenons l’importance de la santé des écosystèmes pour l’avenir de notre entreprise. Nous avons entrepris un projet pour développer une entreprise et une chaine d’approvisionnement qui prennent en compte nos impacts environnementaux en termes monétaires, de sorte que nous puissions prendre ces effets en compte au niveau stratégique et les incorporer dans nos processus de décisions “. Peu de gens réalisent que certains des plus grands centres de biodiversité dans la province de Québec sont situés dans la région métropolitaine de Montréal et sont en danger à cause de l’étalement urbain. La Fondation David Suzuki a publié un rapport qui valorise les services des écosystèmes d’une ceinture de verdure qui protègerait 19% du territoire de Montréal à 4,3 milliards de dollars par année! Ce travail a contribué à convaincre la Communauté métropolitaine de Montréal de créer cette ceinture de verdure dans le cadre de son nouveau plan d’urbanisme et le gouvernement du Québec d’investir 150 millions de dollars pour sa protection. « Avec l’analyse robuste et les quantifications que la profession comptable peut fournir, nous pouvons mieux comprendre la valeur du capital naturel et l’importance de préserver et renforcer les écosystèmes et les habitats naturels pour nos communautés », a déclaré le scientifique en chef du Fonds de recherche du Québec, Rémi Quirion. Malgré l’intérêt croissant pour la RSE et les rapports sur la durabilité, la hausse du chiffre d’affaires pour les cabinets comptables n’est pas sans risques. Professeur de comptabilité sociale et environnementale à l’ESSEC Business School à Paris, le Dr Charles Cho se spécialise dans les questions de comptabilité et d’intérêt public et a publié de nombreuses études à ce sujet. Dr Cho avertit que « La récente prolifération du “buzz de durabilité”, en particulier au sein de la communauté des affaires, ne devrait certainement pas être une avenue pour des stratégies et des comportements opportunistes. Nous devons vraiment faire très attention à ce qui représente des questions de fond par opposition à ce qui est susceptible de devenir une simple représentation symbolique. Malheureusement, ceci arrive plus souvent qu’autrement. Un exemple typique est la production de rapports sur le développement durable ou sur la RSE – nous avons de plus en plus d’éléments qui permettent de conclure que la plupart des informations contenues dans ces rapports est généralement biaisée, sélective, triviale et parfois trompeuse. Néanmoins, ils fournissent un bouclier “légitime”, ou un voile sur ce qui se passe réellement au sein des organisations. Par conséquent, ces rapports doivent au moins être contrôlés par un ensemble de règles, mais c’est loin d’être le cas présentement. En ce qui concerne le rôle de la profession comptable, je reste sceptique sur certains aspects tels que la course des Big 4 sur le volet de la comptabilité publique pour obtenir le prochain mandat d’assurance / mission de vérification sur la durabilité ou la RSE. Ce type de service connait une croissance exponentielle et on n’a pas besoin d’être un lauréat du prix Nobel pour comprendre que ceci est une autre grande opportunité de conseil très rentable pour les Big 4. Cependant, je suis maintenant plus que convaincu qu’il existe des avenues possibles pour les comptables, les comptables de gestion en particulier, pour apporter une contribution significative à l’agenda du développement durable. Notamment par l’utilisation de leurs compétences techniques pour mesurer et rendre compte des impacts sociaux et environnementaux réels des organisations ». Le Dr Michel Magnan, FCPA, FCA, professeur à l’Université Concordia, confirme que des aspects importants des rapports sur la durabilité d’entreprise sont symboliques plutôt que de fond. À son avis : « Il y a eu des progrès dans la qualité de la divulgation au fil des ans par les entreprises européennes et nord-américaines. Mes recherches avec mon collègue Denis Cormier indiquent que cette information est pertinente pour les acteurs du marché (investisseurs, analystes) lorsqu’une entreprise présente une bonne performance environnementale (telle que mesurée par des paramètres objectifs), mais la comparabilité entre les entreprises et la fiabilité des informations divulguées sont encore des problèmes majeurs. Il faut garder à l’esprit que, même pour l’information financière, avec l’application d’une règlementation stricte, il y a encore des discussions quant à la comparabilité, la pertinence et la fiabilité de l’information! Un autre problème majeur est la portée des rapports de développement durable, c’est à dire, quand nous arrêtons-nous? Par exemple, quand on évalue les émissions de gaz à effet de serre d’une entreprise de confiserie laitière comme Nestlé ou Danone, jusqu’où devons-nous aller dans le calcul des émissions du processus de production? Devons-nous inclure le méthane émis par les vaches qui produisent le lait, ou même le processus par lequel elles sont nourries (qui est souvent mécanisé et polluant)? À mon avis, c’est le prochain obstacle que les rapports de durabilité devront surmonter ». Plus d’un siècle s’est écoulé depuis que John D. Rockefeller s’est retiré de la gestion de son empire pétrolier, mais la nécessité d’une information financière robuste et pertinente est plus importante que jamais. Le nouveau contexte mondial, l’état ​​de l’environnement et l’épuisement des ressources naturelles, sont sans précédent et présentent d’immenses défis et opportunités. Notre capacité à créer des systèmes économiques qui favorisent et récompensent les entreprises pour la restauration et l’amélioration des écosystèmes et des environnements naturels, la conservation des ressources et l’élimination de la pollution et des déchets permettra de définir notre prospérité future. La profession comptable, fournisseur privilégié d’une information financière impartiale, fiable et pertinente, est idéalement positionnée pour accélérer cette transition. À cet égard, M. Daniel McMahon, FCPA, FCA, président et chef de la direction de l’Ordre des CPA du Québec, évoque l’orientation stratégique adoptée pour 2013-2015 par le Conseil d’administration : « L’Ordre vise à être reconnu pour son rôle clé en matière de développement économique et sociétal du Québec et entend mettre en valeur le rôle des CPA en matière de développement durable ». À propos de l’auteur: Adam Koniuszewski, CPA, CA, CFA, est diplômé en Commerce de l’Université Concordia à Montréal. Il a commencé sa carrière dans un grand cabinet comptable à Montréal puis à Londres ( Royaume-Uni ) avant de poursuivre sa carrière internationale au sein d’une société mondiale (Amérique du Nord, Europe, Afrique du Nord), où il a acquis une expérience en stratégie et développement des affaires, planification stratégique et gestion des risques, affaires corporatives et gouvernementales et en RSE. Adam a désormais rejoint le monde de la société civile, où il travaille dans le domaine de la durabilité. Il est un conférencier dans les forums internationaux sur les défis mondiaux de développement durable, de leurs les aspects financiers et du rôle du secteur privé. Adam est également impliqué dans diverses initiatives sociales et caritatives. By Michael Klare, the natural resources expert who told us that the disappearance of easy to access and extract “cheap oil” will lead to the development of unconventional energy resources like tar sands, oil shale, deepwater drilling, mountaintop removal, artic oil exploration and that these developments will come at growing environmental and human costs. 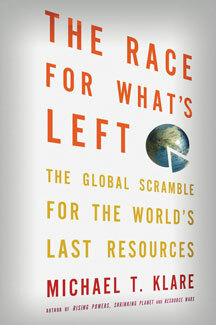 In this easy to read page-turner, Michael Klare argues that growing global demand for natural resources since the Industrial Revolution is now causing a major crisis of resource depletion: easy and cheap to access raw materials like wood, iron, copper, tin and coal, and more recently oil, natural gas, uranium, titanium and other specialized minerals are approaching exhaustion. Michael describes how multinational corporations and governments are increasingly competing in what he calls the “Race for What’s Left” to secure access, at escalating costs, to dwindling resources in increasingly remote locations like the deep oceans or the Arctic. In his view, the Deepwater Horizon oil disaster in the Gulf of Mexico offers “only a preview of the dangers to come”. He illustrates how the race for resources inevitably results in tensions and conflicts – in the Falkland Islands that are contested by Argentina and the United Kingdom, it is believed that the region holds up to 18 billion barrels of oil, or in the East China Sea, or the Caspian Sea, to name a few examples. He warns that this struggle for resources intensifies friction between nations in ways that can lead to armed conflict and that we lack the institutions and global governance tools to properly address these geo-political challenges. According to Klare, our only way out is to dramatically alter our patterns of consumption, something he calls the “greatest challenge of the coming century”. – Reinventing Fire by Amory Lovins and the Rocky Mountain Institute on how America can overcome its oil and coal addiction by 2050 with a 158% bigger economy while saving $5 trillion (2010 net present value) – (Book Review coming soon). “Factor Five” is the long awaited sequel to the 1997 celebrated bestseller “Factor Four: Doubling Wealth, Halving Resource Use” by Ernst von Weizsäcker, Amory B. Lovins, and L. Hunter Lovins. For “Factor Five” Weizsäcker is back with Charlie Hargroves, Michael Smith, Cheryl Desha and Peter Stasinopoulos as co-authors, a team of “early career Australians” who are part of The Natural Edge Project Team that aims to promote sustainable development solutions across all sectors of modern society. 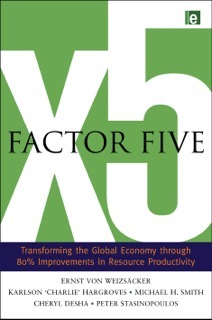 Factor Five provides a compelling case for dramatically increasing resource productivity (at a profit) but also raises the stakes in a world where the impact of the global community is challenging the planet’s ability to cope. Rather then being fatalistic, the book inspires hope with solutions for a world where energy and resources are in short supply and where the emphasis of technological progress should be on energy and resource productivity, improving economic performance while benefitting the environment. Pragmatic and solutions oriented, the book focuses on adopting a whole-system approach to increase productivity across key sectors (buildings, heavy industry, agriculture and transport) and analyzes the policy, tax & regulatory, and financial aspects that must be addressed if we are to provide “sufficiency in a civilized world”. The nations, corporations and households that adopt these strategies will achieve factor five resource-productivity improvements and will prosper and enjoy a lasting competitive advantage in an increasingly resource-constrained world. 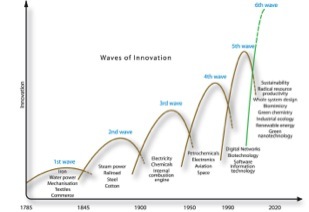 Just as “labor productivity” drove competitiveness during the first 200 years of the industrial revolution, economic advantage in the future will depend on resource-productivity where improvements will be driven by advances in sustainability, whole system design, bio-mimicry, green chemistry, industrial ecology, renewable energy and green nanotechnology. This book represents an essential read for political and business leaders, government officials and anyone interested in sustainability and human progress.